Give the gift that keeps on giving! 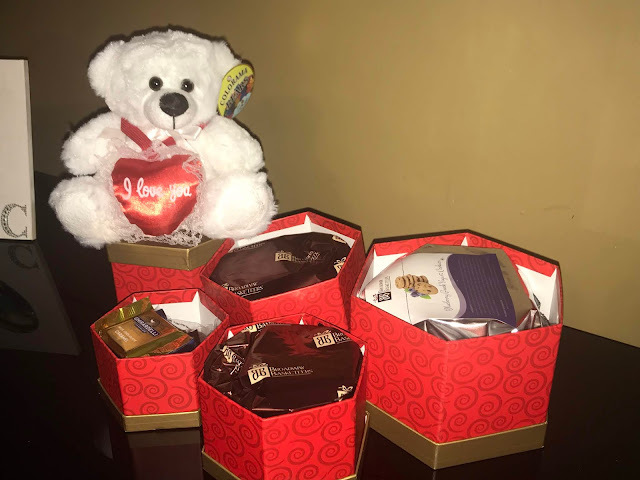 The Broadway Basketeers Valentine's Day "I Love You" Gift Tower is packed with layers of surprises for your sweetheart to enjoy! The tower comes delivered ready to give to your special Valentine and even has a pretty bow and gift tag on it. You can even have it shipped directly to your loved one. My tower arrived in perfect condition. Even the bow was perfect. It is packed with many of my favorite treats. The list of contents is listed below. Each individual box's contents was individually wrapped for freshness. There are so many goodies! I can't wait to dig into them all! The boxes are so pretty, I think I am going to reuse them to hold my craft items. They stack perfectly and are sturdy. Broadway Basketeers has a great assortment of towers, baskets and gifts for HIM or HER and even have wine gifts! You can choose flowers, cookies, cakes, cupcakes, fruits, nuts, sugar free items and many other basket options. There are even spa baskets that look so luxurious! If you search their Valentine Gifts on the website, there are many options to choose from! You will definitely find something perfect to send. A simple “I love you” can’t begin to cover the way you feel about your loved one, whether they’re a wife, partner, child or friend. 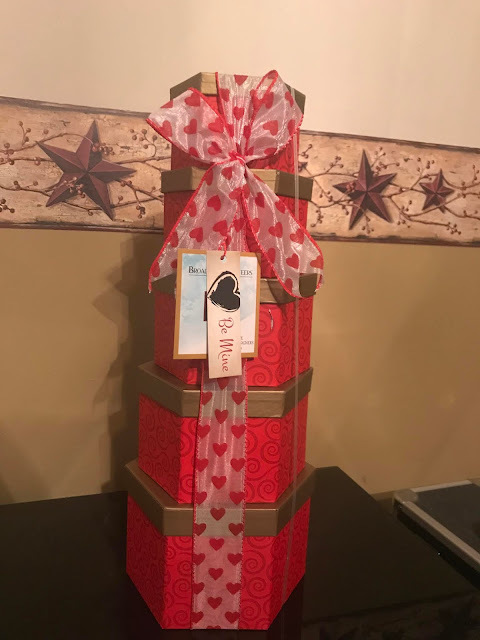 When you want to make a statement that goes beyond words, our Valentine’s Day Gift Tower can help you display your affection. 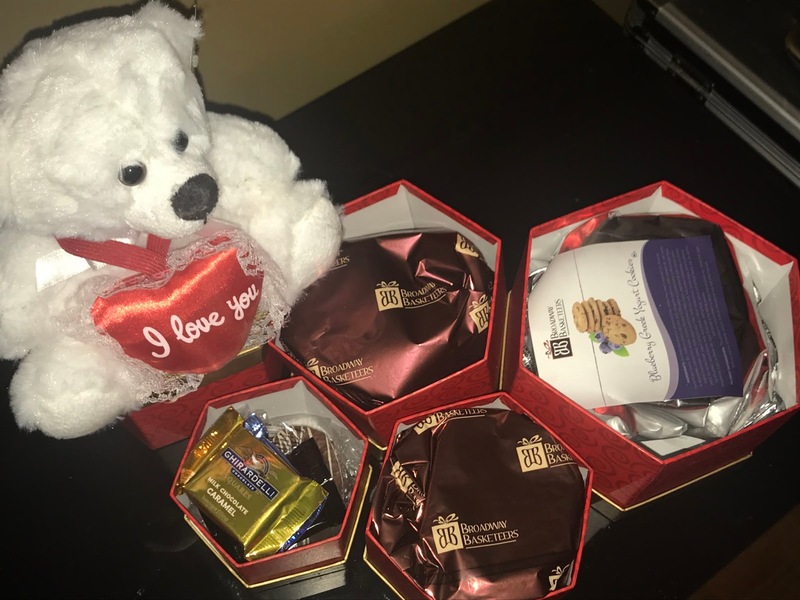 Our tower combines elements of traditional Valentine’s gifts, such as chocolates and stuffed animals, into one spectacular package. 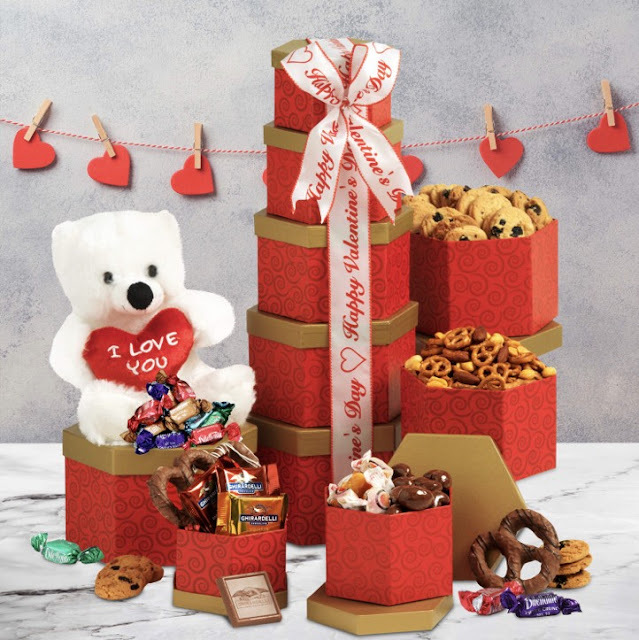 Send your love this Valentine's Day with our Valentine's Day "I Love You" Gift Tower. It’s filled to the brim with gourmet snacks, chocolates and sweets. It also includes a stuffed teddy bear with a red heart to express your heartfelt love for your Valentine. Gift Size: 6.5" x 5.5" x 17"
Looking for the perfect reason to give a Broadway Basketeers basket this Valentine's Day? Here are 7 romantic reasons from Broadway Basketeers! Here at Broadway Basketeers, we take gifting seriously whatever the occasion. 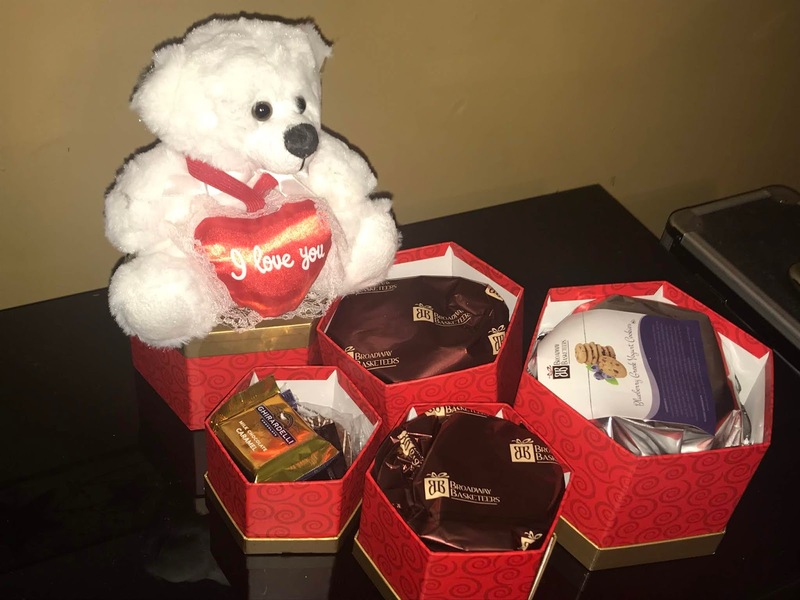 So here are 7 reasons why you should choose us to give a gift basket of love this Valentine’s Day. All our gift baskets, towers, and flower bouquets have been expertly handcrafted. All our food items are 100% certified Kosher which is a sign of quality and purity. Personalize your gift basket with a romantic message that will make your partner swoon. Prices to suit any budget. We have a wide range of gifts at prices to suit everyone. Choose your delivery date, time and place. Surprise your partner where ever they may be. Free delivery options available, or for those last minute gifts, let us save the day with next day delivery. If for any reason you are not fully satisfied with our products, then we are more than happy to offer a full refund. Disclosure: I received a basket to review for my honest personal opinion. This is such a nice tower. I love that it has an assortment of things anyone would love!